Check out the Visit Bass Coast website for a comprehensive list of local attractions and activities. Have a round of golf at one of the picturesque local courses. Play 18 holes at Leongatha Golf Club or Wonthaggi Golf Course or try your skill at the Par 3 Melalueca Links Inverloch. Dive in for superb kite-surfing at Anderson Inlet next to Inverloch – great fun for all ages. 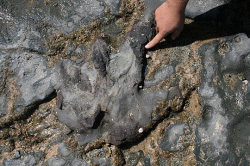 The Bunurong Coast hides a dinosaur boneyard rich in history. Discovered in 1903, the first bones found to have dated to 115 million years. To date more than 6,000 bones have been discovered. The dig is only a 10 minute walk along the beach from Inverloch Surfside. Take surfing lessons on uncrowded waves with the Offshore Surf School. Beginner lessons are conducted daily at Inverloch’s main surf beach. Anderson Inlet has been rated as one of the best natural windsurfing locations in the world. 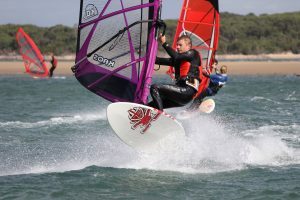 The local Inverloch Windsurfing Club runs regular events and activities throughout the year. Keen anglers can drop a line in at various ocean and estuary fishing spots around Inverloch and Anderson Inlet. Inverloch is a haven for water sports enthusiasts. You’ll find excellent boat launching facilities around Anderson Inlet, a shallow estuary where the Tarwin River enters Bass Strait. The opportunities for snorkelling and diving in the pristine waters are excellent and a peek underwater is often as exciting as the Great Barrier Reef. The Bass Coast Rail Trail is Victoria’s only coastal trail with a landscape that varies from rugged coastline at Kilcunda to flat farmland and bush near Wonthaggi. Winding 16km from Wonthaggi to Anderson’s Inlet in Inverloch. The Phillip Island Penguin Parade is Australia’s most popular wildlife attraction and home to the largest Little Penguin colony in the world. Every sunset, the hundreds to over a thousand wild Little Penguins emerge from the sea and march across the beach to their sand dune burrows. Coal Creek Community Park & Museum was initially created to preserve the unique history of coal, the development of the South Gippsland railway and the rural settlement which was accelerated by the dairy and timber industries. Come take a walk through time and explore the large collection of artifacts housed in the many heritage buildings in a village like setting. The State Coal Mine operated from 1910 to 1968. Now a great visitor attraction, the mine offers a fascinating insight into the difficult working conditions of the Wonthaggi coal miners. Various boardwalks and tracks provide tranquil places for shorter and longer strolls, or bushwalks and hiking activities. The wine trail takes you to 16 cellar doors in Victoria’s southern-most wine region, spread through spectacular coastal ridges from Phillip Island to Foster. 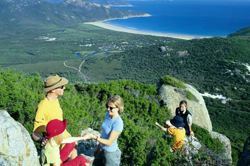 This region has some of Victoria’s most spectacular and pristine unspoilt beaches. Step back in time… meet the farm animals, relax in the cafe, enjoy the water views, stroll amongst heritage buildings and lovely gardens. Experience wild koalas in their natural habitat and stroll through Aussie bushland at our environmentally sustainable centre dedicated to koala conservation. Two elevated treetop boardwalks allow superb close viewing of wild koalas in six hectares of Australian bushland. Enjoy a splash with family or friends at Inverloch’s shallow rock pools – a favourite activity for visitors to the town. The gallery showcases the finest of art from local artists, and from those further afield. Art works will be rotated on a regular basis so as to maintain a fresh and exciting appeal, as well as giving more new and established artists a chance to exhibit their creations. Solo exhibitions will also occur through the year. Choose a place for great food at one of 13 Inverloch restaurants. 2 of which have been listed on the Australian Good Food & Travel Guide. 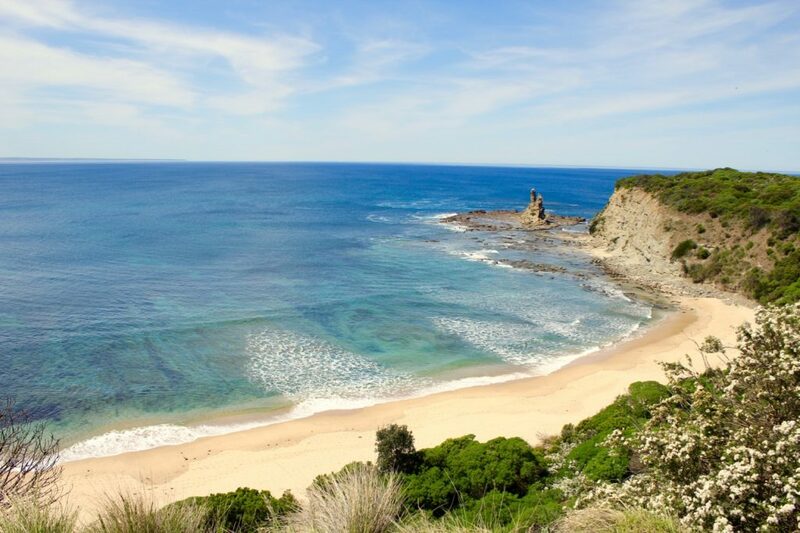 The rugged sandstone cliffs, broad rock platforms and underwater reefs of the Bunurong Marine Park represent some of Victoria’s most spectacular coastal scenery.